What is the character of God, violent or non-violent? Is justice retributive or distributive? Sea Raven (Twitter) explores these questions and more in her three commentaries on the Revised Common Lectionary, called Theology From Exile. 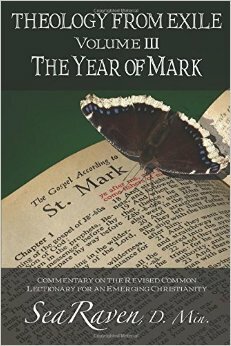 Her latest commentary on the year of Mark is just out! Matthew and Luke were published previously. Join us for a discussion of the interaction of progressive theology and the Christian liturgy. Thursday, October 30th at 8 pm on WETS, 89.5. Saturday, November 1st at 1 pm on KZUM, 89.3. 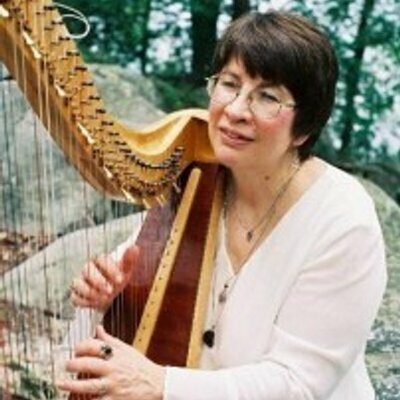 Sunday, November 2nd at noon on WEHC, 90.7. Sunday, November 2nd at 2 pm on WETS, 89.5. Monday, November 3rdat 1 pm on WEHC, 90.7. Wednesday, November 5th at 6:30 pm on WEHC, 90.7.